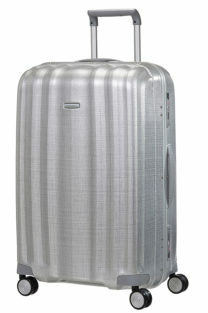 Lite-Cube FR(ame) is a statement in exceptional, sophisticated luggage. Crafted from durable woven polyproylene material, Lite-Cube FR breathes ultimate comfort throughout. Made from rich and strong materials, this suitcase is characterised by its premium aluminium look combined with a strong aluminium frame for added sturdiness, and two integrated TSA locks for extra security. Lite-Cube FR is the perfect companion for travellers looking for a durable, lightweight suitcase providing optimum protection and maximum style.